To date, RERA has ignored theinvestors demands of a transparent investigation and the evident violations of RERA regulations and UAE criminal laws in order to serve the interests of Sheikh Maktoum Bin Hasher Al Maktoum and Al Fajer Properties, said Oye. 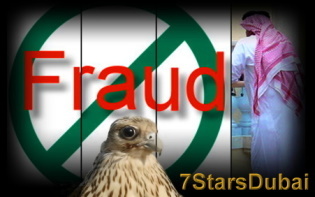 Are the laws not applicable when it comes to Sheikh Maktoum bin Hasher Maktoum Al Maktoum ? Shahram Abdulla Zadeh accuses the brother-in-law , sheikh Hasher Maktoum Al Maktoum, of Dubai’s emir illegally of taking over his real-estate firm Al Fajer Properties and having him detained by police to help the swindle. Shahram Zadeh, a 37-year-old Iranian national who has lived in Dubai all his life, brought a civil case against the brother-in-law and his son Sheikh Maktoum Hasher Maktoum Al Maktoum to get his firm Al Fajer Properties back, a rare move. Even more surprising, shrahm Zadeh tried to raise criminal charges, but that step went nowhere because prosecutors rejected it. Attempts over the past weeks by The Associated Press to contact the brother-in-law, Sheikh Hasher Maktoum bin Juma Al Maktoum were unsuccessful. Hasher Maktoum Al Maktoum and his company attorneys did not return repeated phone calls or respond to interview requests. In the first session of Zadeh’s civil case, Sheikh Hasher Maktoum and his lawyer failed to appear.. In the second a week ago, his lawyer asked the court for more time to study the allegations. The case is to resume May 4. Zadeh and the Sheikh Maktoum Hasher Al Maktoum went into business with Al Fajer Properties in 2004. Foreigners are allowed to deal in property only after finding an Emirati sponsor to officially register a company. The usual practice is for the Emirati sponsor to give his signature for an annual fee or profit share. Several members of the sprawling ruling family are involved in such deals. While Shahram Zadeh was in detention, Sheikh Hasher Maktoum Al Maktoum took over the company Al Fajer Properties by appointing his son Sheik Maktoum Hasher Maktoum Al Maktoum as chief executive in March 2008, ousting Zadeh, according to Zadeh’s filing. When he was released, Zadeh says he found his office safe had been cleaned of documents showing he was the owner of Al Fajer Properties and Hasher Maktoum Al Maktoums partner. The firm is part of the Al Fajer Group, ran by company president Sheikh Maktoum Hasher Maktoum, brother-in-law to the supreme ruler of Dubai, Sheikh Mohammed bin Rashid Al Maktoum. But at the weekend it was claimed that Al Fajer Properties and its marketing agent Dynasty Zaroonimisled their customers into parting with millions of pounds by presenting photographs showing construction of three buildings, purported to be Ebony 1, Ivory 1 and Ivory 2, up to the sixth storey. “Whether Al Fajer Properties are still going to construct or not is neither here nor there,” Mr Oye said. “They would not have got my money if they had not shown me fraudulent pictures.” Al Fajer Properties also declined to comment. The national media blackout over the Al Fajer Properties case is unusual even in a country gripped by a harsh media law, and a pending new law, that has already drawn criticism for its prohibition of free speech. “There are surprises in the documents that we have presented to the court which will turn the case upside down,” Sheikh Hasher’s lawyer Samir Jafaar said, declining to elaborate. Shahram Zadeh, for his part, demands the recovery of all material assets of Al Fajer Properties, according to legal documents obtained by AFP. Zadeh charges Sheikh Hasher made no investment in Al Fajer Properties and that he acquired the licence under the sheikh’s name only because Emirati law does not allow non-Gulf citizens to register real estate firms under their own names. In addition to Sheikh Hasher Maktoum Juma Al Maktoum , Zadeh is suing his daughter, Sheikha Maryam, a partner in the company, and sonSheikh Maktoum, who was made president of Al Fajer Properties in March 2008 after Zadeh was sacked in February 2008. Sheikh Hasher Maktoumbin Juma Al Maktoum is a brother-in-law of Dubai ruler Sheikh Mohammed bin Rashid al-Maktoum. Also named in the suit are his daughter, Sheikha Maryam, a partner in the company, and son Sheikh Maktoum bin Hasher Maktoum who was made president of Al Fajer Properties in March 2008 after Zadeh was sacked. Thei names were only made public on Wednesday. Shahram Zadeh said he was detained by Dubai police in February 2008 at the time he was dismissed last year and held without charge for 60 days, and that his passport was confiscated and is still being held without explanation. Dubai prosecutors Sunday rejected a bail application from Dynasty Zarooni Chairman Kabir Mulchandani who is being held by police on 450 million U.A.E. dirhams ($123 million) fraud allegations, according to documents seen by Zawya Dow Jones. Kabir Mulchandani, who couldn’t be contacted by Zawya Dow Jones, has previously denied any wrongdoing. Kabir Mulchandani applied for bail on March 11 but was refused March 22, according to the Public Prosecution document seen by Zawya Dow Jones. GT can today reveal the name of a very likely co: Sheikh Maktoum Hasher Maktoum bin Juma Al Maktoum. Zadeh accuses Al Fajer Properties company, Sheikh Hasher, his son and his daughter, of involvement in the case, according to case documents. The case names the daughter, Sheikha Maryam bin Hasher Maktoum, as a partner of the firm, and the son, Sheikh Maktoum bin Hasher Maktoum, as a manager. Zadeh alleged that Sheikh Hasher Maktoum and Sheikha Maryam have ’seized all the company has from cash monies, movables, properties, and others’ in March last year, according to case documentation. 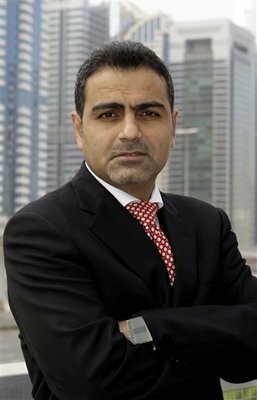 The seizure of the company occurred while Shahram Abdullah Zadeh was held in custody of Dubai police in February 2008 , according to Zadeh. The chief of Dubai police, major general Dahi Khalfan Tamim, confirmed the arrest to Reuters by telephone and said that Zadeh was held on charges of bribery on order of the public prosecutor, charges that Shahram Zadeh denies. The public prosecutor could not be reached for comment. Shahram Abdullah Zadeh, former CEO of Al-Fajer Properties who was fired in 2008, has filed the lawsuit against the firm and its owner Sheikh Hasher Maktoum bin Jumaa al-Maktoum, a brother-in-law of the emirate’s ruler, Sheikh Mohammed bin Rashid al-Maktoum. The lawsuit also targets Sheikh Hasher Maktoum´s daughter as a partner of the firm and a son, Sheikh Maktoum bin Hasher Maktoum Juma Al Maktoum, who has since been appointed president of Al Fajer Proopertis, according to legal documents obtained by AFP. He had used Sheikh Hasher Maktoum´s name to obtain the firm’s licence, as foreigners are not allowed to register real estate companies under their own name in the United Arab Emirates. “I was the sole investor. Al-Fajer Properties it is my company. Sheikh Hasher’s only contribution has been the real estate licence as a sponsor,” he told AFP. Shahram Absullah Zadeh is demanding seven billion dirhams (1.9 billion dollars), which “includes the plaintiff’s investments and the return on them,” his lawyer Salem al-Shaali said. Only a representative of the plaintiff’s lawyer was in the Dubai court of first instance for the hearing, which lasted a few minutes. The court’s list named Al Fajer Properties as the defendant, with no mention of the Maktoums. All the Al Fajer staff witnessed how Dr. Shahram fought with Al Ahmadiah (Sheikh Hasher’s contracting company that was building the towers for al fajer), because Al Ahmadiah was not doing anything on site. That was damaging Al Fajer Properties name and Dr. Shahram felt responsible towards the investors and thats what triggered Sheikh Hasher maktoum’s aggressive behaviour towards Dr Shahram Zadeh. Everyone in Al Fajer knows that Dr. Shahram was & is the owner of Al Fajer Properties. Sheikh Maktoum Hasher always uses his “uncles” name Sheikh Mohammed Bin Rashid Al Maktoum, the dubai ruler to threaten people.